home shop by department books perfecting the press! "Kenneth Jay has laid out what I feel will generate a next-step evolution in strength training. Even if you have no interest in increasing your military press, the concepts in this book are powerful. Not only does Kenneth break down the essentials to a perfect press, but he also provides 10 innovative drills for shattering plateaus. Whether it is simply stacking two kettlebells in one hand for manipulating the center of gravity or showing how to take advantage of hard-wired reflexes, Kenneth's pursuit of strength allows us to stand on his shoulders. Combining science and practical application, Kenneth reveals in Perfecting the Press! principles and techniques capable of assisting you on a journey of strength. This is an intelligent journey based in science and field tested in the Iron Pit. Now read, learn, and apply. Strength is waiting for you!" How sure are we that Perfecting the Press! (paperback) will work for you? Simply fill out the form below and put Perfecting the Press! (paperback) to work for you right now. Obviously, we would go out of business if Perfecting the Press! (paperback) didn't work, the way we said, right? With the promise of a full refund if you're unsatisfied, you have nothing to lose by trying Perfecting the Press! (paperback). Go ahead and try it today. Not only does Kenneth break down the essentials to a perfect press, but he also provides 10 innovative drills for shattering plateaus. Whether it is simply stacking two kettlebells in one hand for manipulating the center of gravity or showing how to take advantage of hard-wired reflexes, Kenneth's pursuit of strength allows us to stand on his shoulders (pun intended). 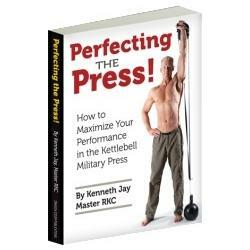 Combining science and practical application, Kenneth reveals in Perfecting the Press!principles and techniques capable of assisting you on a journey of strength. This is an intelligent journey based in science and field tested in the Iron Pit. Now read, learn, and apply. Strength is waiting for you!" "In Perfecting the Press!, Kenneth Jay has successfully combined the hard science of elite performance with an immensely practical training protocol that will make your performance soar. Perfecting the Press will take you on a journey into the physiology of strength mastery that leaves you anxious to read and absorb every page, because every concept can and will make you stronger. From world-class technique development to neuroscience to hyperprecise workout programming skills, Perfecting the Press! has it all. Kenneth has written a book that very few people could. Every page demonstrates his understanding of the science of strength as both a researcher and a world-class athlete who has actually applied these methods to his own strength development. Read this book. Study it. Apply the information, and prepare to blow away every pressing record you have ever set!" Trainers usually come in two types: In the trenches or in the lab. They also usually talk either like a muscle head or like an academic. Only a few guys are both and even fewer can distill those high-level academic concepts down to real world usable drills. Kenneth does great with both in Perfecting the Press. I love the kettlebell press and think it's one of the great strength exercises. If you're like me and have a little mileage and some old injuries it's probably one of the most comfortable presses you can do. Unfortunately for many people progress is hard and there's often a sticking point in moving from bell to bell because of the bigger jumps in weight. Kenneth has solved many of those problems with some simple yet innovative techniques for loading the bell, changing the center of gravity and working around specific technical and strength issues as well as personal sticking points. Once again he's proved it by his own personal progress. This book has all the recommendations and info you need to get really strong in one of the great strength exercises and gives you numerous ways to keep making progress and loading the bell for real strength. If you want to get strong at the kettlebell press and therefore monster strong shoulders? Get this book! I know this sounds crazy but literally 30 minutes after receiving the Perfecting the Press in the Mail I conquered the 40 kg! I have been working on this for over 6 months occasionally I could make the press but with horrible form. Friday is my MP day so I got home opened the package, thumbed through the book and saw 2 flaws I was making in my technique. I made the corrections in my work out and when I got to the 40 I pushed it up easy for a double! Sweet Stuff, I wish I had this book 6 months ago. I am sure I would have already tamed the beast! Kenneth's book on the press is a must have, if you are serious about pressing heavy. Rated 10/10 Want to increase your press quickly? Then get this book! Others have said that they've got immediate results from this book and I can only agree with them. I've been struggling for quite some time now with the 40kg kettlebell, my best being 2 push presses on my right and 1 with my left arm. Within 30 mins of opening this book, I was able to identify 2 major mistakes I was making in my press and correct them, now I was able to press the 40 for a strong single with both arms. That was 8 weeks ago and now I'm close the completing the ROP with the 40 and able to press the beast for a single with my right arm. 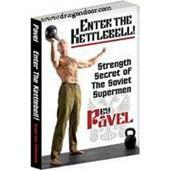 This book is a must have for anyone training with the heavier bells, I cannot reccomend it enough. Well done Kenneth Jay, pricless book. Rated 10/10 A MUST HAVE! This book is a must have for any RKC. While I can press the beast fairly easily and consider myself fairly good at pressing. I found everything in "Perfecting the Press" useful in my own endeavors but more importantly to my clients. I have been waiting for this book for months and it did not disappoint. A absolute 10 out of 10! Rated 10/10 This should be a required companion book to ETK! The information on basic pressing mechanics is very clear and precise- this helped me to correct several technique errors and improved my MP immediately; in looking at other reviews this seems to be a common experience with this book. The section on breaking through plateaus is great, very practical, with good explanations of how and why they work. If it stopped there it would be well worth the investment. For me though, the last third of the book is what really takes it to another level. The information on programing is what I keep returning to re-read. For anyone interested in how the basic parameters - volume, density, fatigue (great addition!) and intensity - affect their (or their clients) training this is pure gold. And, although I love the MP, all of this can be applied to any lift! Rated 10/10 I finally learned how to press a Kettlebell. I picked up "Perfecting the Press!" because I was struggling and completely stuck at my current pressing limits. I had already suffered strain injuries twice and had my program reset back to square 1. Kenneth was kind enough to exchange some Q&A with me about the program design. I took 2wks of rest and restorative work, then carefully approached "high volume" between where I currently was and where my body would let me advance. Midway through the second training block, I am pain-free and lifting well. Where I previously could not have pressed my working bell 10 straight reps, I did 5x6, 5x8, and 5x10 today in an hour, and in that order. My 1RM bell has been up 5 straight on each arm, and the bell in the middle of that range is already in 4-rung ladders. The corrective drills have improved my torso support. I have become more aware of my sticking points and have begun to open them up, one by one. All this, and I have only cherry-picked corrections based on extra equipment and time that I already had available. This is as deep a dive into a single exercise as I've seen anywhere, I would say comparable to "Kettlebells From The Ground Up" in depth and scope. The science behind fatigue management and program design is presented both in depth and in summary. I've made great strides in only 6 weeks, and I know I've taken only the most basic approach. I've gained mastery over weights I could already move, and I'm confidently looking forward to lifting something bigger for the first time. 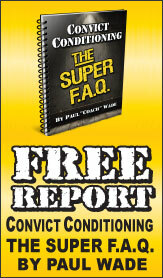 Within the first couple of pages I was able to see noticeable increases in both reps and poundages...Great book! I got my book on a Friday afternoon at 5pm and did not put it down for the rest of the night or weekend for that matter. 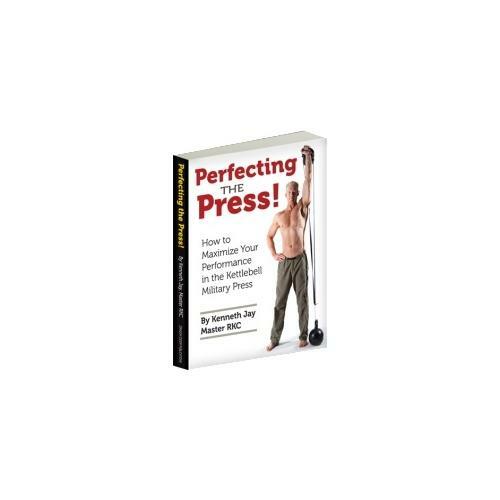 The information in this book is invaluable for anyone who wants to improve their pressing strength.I started performing the "Center of Gravity Depression Press" a week ago and I have already broke through a previous sticking point! 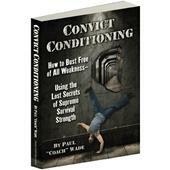 If you are serious about pressing heavier weight then you must get this book!